There are two types of heat-treated glass. 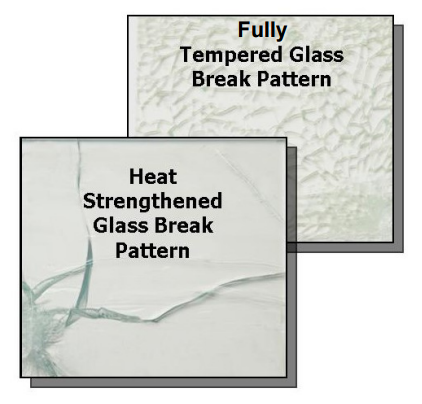 Heat-strengthened glass is approximately two times stronger than annealed or untreated glass, while the tempered glass will be four times stronger and less likely to experience breakage through thermal shock. This application note presents the benefits and characteristics of each type of heat-treated glass. Download the full application note for more information on which type of glass should be used for your specific applications.